How often do you spend time playing cards with your child(ren) or students? Card playing is both academically and socially appropriate for all age levels. Recently, my kindergartner came home from school looking to teach me a new math card game he had learned that day. The math program at his school, Everyday Math, emphasizes the curriculum through real-world and concrete examples. In addition, it provides repeated exposure to various concepts and skills. That days “at home” math lesson was showing that through a card game, my son was learning math. As I knew it, it was just a game called “War” when I was a young child. Cards can be fun as it challenges, sparks ones problem solving skills as they form logical strategies, all at the same time. Today’s review is just that! Recently launched at the end of January, Answer 2 Equations will in fact blow you away as one of their levels of difficulties states. Designed for an iPad device running iOS 4.3 or later, players will be addicted to understand how to play with every flip of a card. Use your addition, subtraction, multiplication or division skills to find a match. Upon entering Answer 2 Equations, card players will be given four options of play: Easy, Ambitious, Challenging and Mind Blowing. Prior to making ones choice, it would be important to preview the “Help” button in the lower left hand corner of the screen. Here players will be provided a written explanation of the objective and how to play within each level. Regardless of which level of play is chosen, the objective is the same, using 2 or more cards and your knowledge of +,-, x, and ÷, players must find a solution that will match the answer card that is given. A note to the developers, as parents or children begin to comprehend this educational card app, might it be possible to include not only written explanations, but also some screen shots or video tutorials at each stage of the card game. Although Applicable2U was capable of reading the “Help” guide, some of the game features were slightly confusing. Prior to playing, it would be wonderful to see in action the necessary gestures to remove incorrectly tapped cards or how to complete a multi-step mathematical equation. Each level of play has one thing in common, the screen layout. 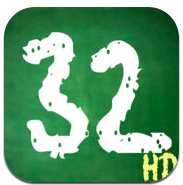 On the left hand side, appears the applications name and logo, however, with one simple tap here it will navigate players back to the main menu. What appears to be an empty gray box is where the problem(s) are created as players attempt to match their solution cards to the answer card right below. In need of help, simply tap the “help” button and additional options will be provided: Give me a hint, Show full solution, and Don’t need help anymore. In other levels of play, one additional help feature is added, where players may need an additional card or two. At the top of the screen, there are a number of options or selections that can change ones game. When playing in the Easy, Ambitious or Challenging mode, users can increase or decrease the number of cards needed in order to solve and match the answer card. Games can be timed or untimed, depending on your learning style or academic needs. The clock setting ranges from 99:00 all the way down to 5:00. As you attempt to make a mathematical match, use the four colored operations at the top of the screen. The largest part of the playing screen is designated to the cards. Cards have numbers on them ranging from 1-12. There are no zeros nor are negative numbers integrated. In addition, cards will have the four operations, one of which is circled. It is important to note, that this circled feature is only used in the more advanced levels. A note to the developers – might it be possible to build an options menu on the main screen where players could turn the circled operation on/off when it is not academically necessary for game play. For some learning styles, playing cards may appear too busy. Answer 2 Equations is very sequential as the levels of difficulty certainly build upon each other. 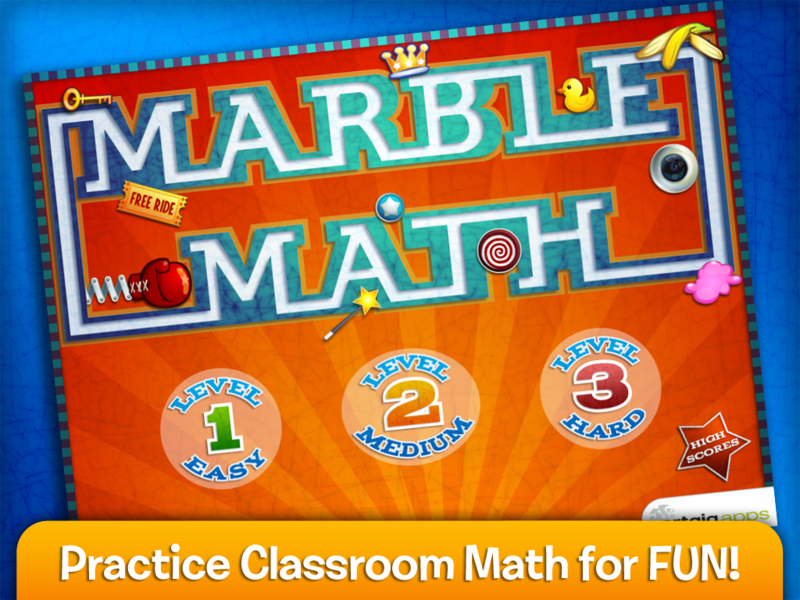 When playing in the Easy mode, users are developing their number facts as they strategically comprehend how various number combinations can make a similar solution. While in the Ambitious mode, users are now given a small amount of cards (3-8) which they must then use to build an equation that will match the answer card. In this mode, players will need to be familiar with multi-step problem solving. 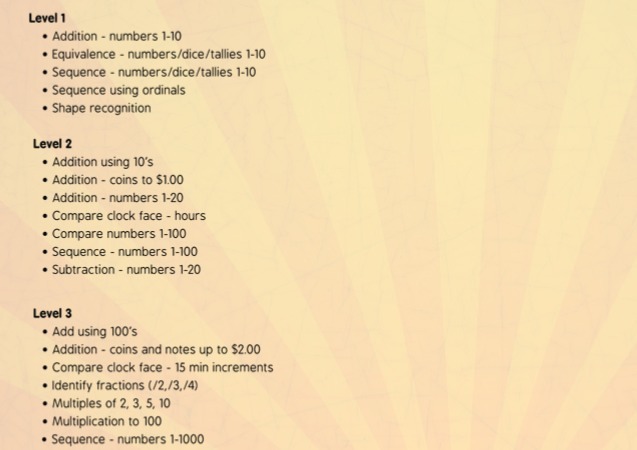 While problem solving, developers have provided players with a virtual scrap pad since calculators are not allowed. As players academically progress, the Challenging mode will begin to integrate the circled arithmetic symbol on the answer card. When finding the solutions in this mode, the circled operation on the answer card must be the last step or function that is performed in order to come up with its solution. The final mode of play is the Mind Blowing. Here users are given five cards, solutions must still match the answer card, however, operations can only be used once. The order in which they are used is not important, although it might be interesting to integrate this idea for a future update. Having reviewed many math applications, there are few that Applicable2U has come across that reinforces the orders of operation, PEMDAS. Most educators will refer to the orders of operation by an acronym – Please, Excuse, My, Dear, Aunt, Sally. 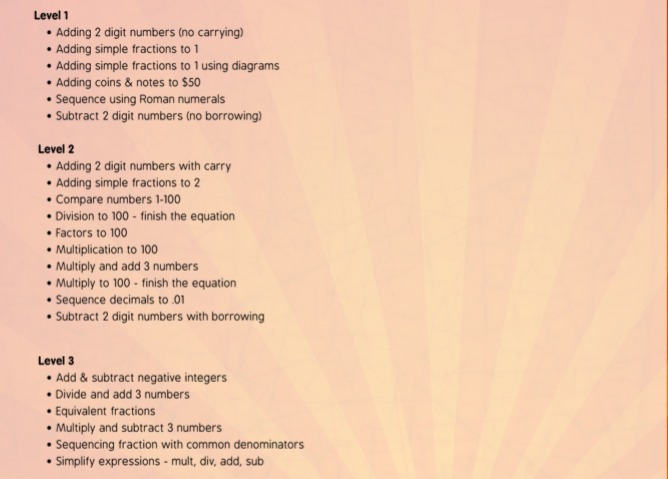 Overall, Applicable2U would give this educational math card application two thumbs up! Math can be found in so many real world situations. 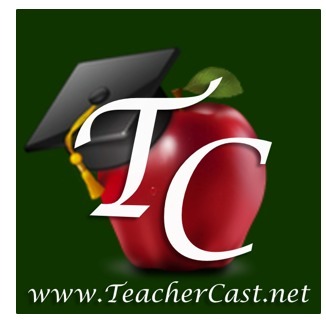 Answer 2 Equations is unlike any flashcard, repetition, math game application. Once game play is understood and the necessary finger taps and slides are grasped, you will not want to turn off your device. While playing, various emotions will be had along the way, from frustration, to times of complete success. Regardless, your elementary to middle schooler will be gaming with a reason as they use their higher order thinking skills and apply those strategies learned from their classroom environment. 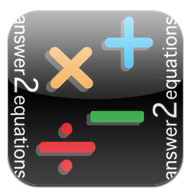 Come play and have fun with Answer 2 Equations today by downloading it to your iTunes library for only $1.99.